Fashion forecasting is a global career that focuses on upcoming trends within the fashion sector. Trends can come in many forms: shapes, silhouettes, colours, material substrates, material designs, garment, textiles homewares etc. A fashion forecaster predicts the colours, fabrics, textures, materials, prints, graphics, beauty/grooming, accessories, footwear, street style, and other styles that will be presented on the runway and in stores for the upcoming seasons. Today’s trend forecasters have the added problem of getting their predictions to designers and developers in the fastest possible time and to deliver on this they need to share their predictions in the shortest possible timeframe. To support this challenge, trend solution providers can be dynamically linked to a company’s PLM solution or a PLM solution can come with the option already integrated via a partnership in the form of a licensing agreement with the trend providers. A multi-media, global entertainment brand inspiring young men. Highsnobiety covers news and trends in; fashion, sneakers, music, art and entertainment. Powering Retail’s Speed-To-Market With AI. Speed-to-market is key to survival in today’s changing retail landscape. 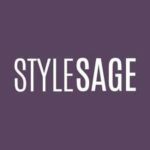 Whether you work in the fashion, home, or beauty business, StyleSage’s AI-powered machine enables faster synthesization of internal and external data points. THE.LAND is a new venture, where influencers and brands collaborate and monetize together. THE.LAND works similarly to social media, but goes beyond. Trendstop.com is a global online trend platform and creative agency with an innovative design studio and consultancy service. Delivers both long-term forecasting, and fast-response information to the fashion and design industries. Online, subscription trend forecasting service.